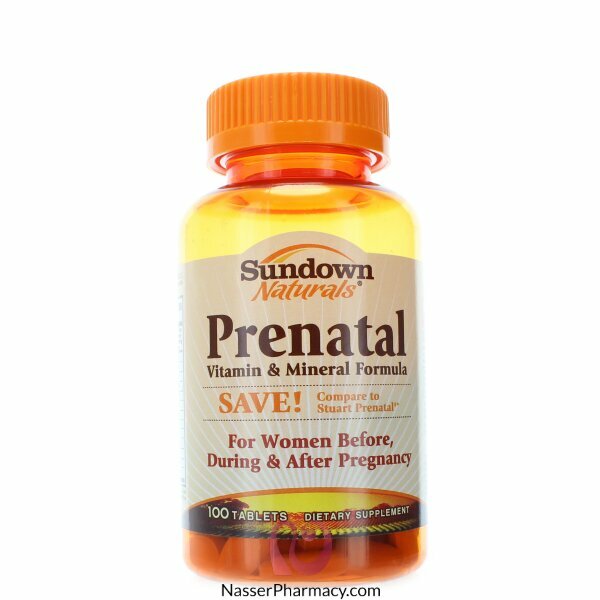 Sundown Naturals' Multivitamin Prenatal is a comprehensive high potency multi vitamin and mineral supplement with beneficial amounts of key nutrients for added health before, during and after pregnancy. The combination of high potency vitamins and minerals promotes the healthy development of your growing child. B Vitamins and Iron are essential for energy metabolism and blood cell production. Our specialized formula also includes the Omega-3 fatty acids EPA and DHA. Sundown Naturals' Multivitamin Prenatal provides 800 mcg of Folic Acid (folate). Healthful diets with adequate folate may reduce a woman' risk of having a child with a brain or spinal cord birth defect. Folate intake should not exceed 1,000 mcg. For adult women, take one (1) softgel daily, preferably with a meal. As a reminder, discuss the supplements and medications you take with your health care providers.